Born 1964 in Forlì, Italy. I have studied violin (with A. Casagrande) and composition (with M. Perrucci) in the Musical Institute "G.B.Pergolesi" in Ancona and in the Conservatory "G. Rossini" in Pesaro. I've played with the "Orchestra Filarmonica Marchigiana" and various chamber orchestras, ensembles of early, baroque and contemporary music. In 1982 I've founded, together with Peter Rabanser, the international ensemble Oni Wytars, and I'm still performing with this group. 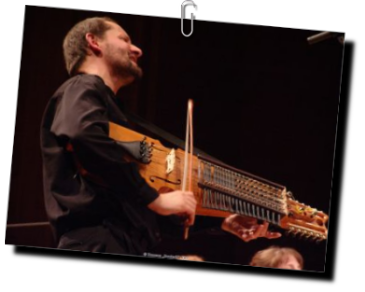 I perform as soloist since 1990 for the Clemencic Consort in Vienna, since 1991 I'm artistic director (with Katharina Dustmann) of the Studio Katharco - Sound:Creations. 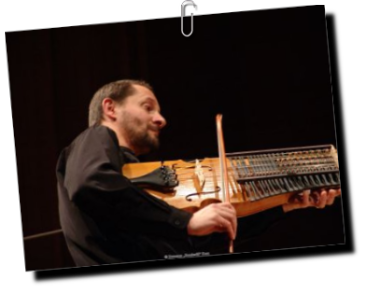 I debuted as a soloist and nyckelharpa player in the theatre "Alla Scala" in Milan, in concerts for the Royal Swedish Concert Agency, in the Alte Oper Frankfurt, in the Philharmony in Cologne, Berlin, Moscow and in the Carnegie Hall of New York. 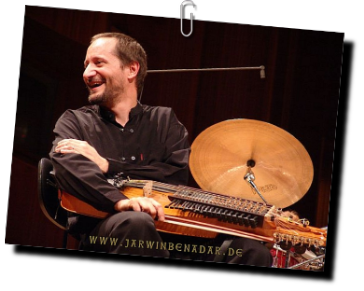 Together with Carlo Rizzo, Jean-Louis Matinier, Valentin Clastrier and Michael Riessler I've participated in numerous concerts and radio recordings of jazz music. I was chosen by the German radio SWF as newcomer and composer for the New Jazz Meeting 1993. 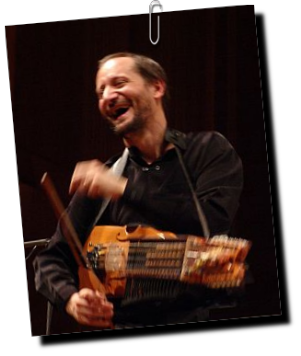 In recent years I've participated in numerous radio, television and CD productions (more than 150), as a solo artist, composer or member of ensemble Oni Wytars (Germany), Els Trobadors (Spain), Unicorn, Accentus, Clemencic Consort, Armonico Tributo (Austria), Ensemble Kapsberger (Rolf Lislevand-Norway), Camerata Nordica (Sweden), Holland Baroque (Netherlands), Lucilla Galeazzi, Ensemble La Chimera (IT), Vox Clamantis (EE), Jean-Louis Matinier, Michael Riessler and others. I support education of vulnerable children in Rwanda. Agree? Join me!